Join players from across the country to win multimillion-dollar jackpots – plus eight other prize levels – every Wednesday & Saturday. Choose five numbers from 1 through 69 and one Powerball number from 1 through 26. You can pick your own numbers or let the Lottery’s computer randomly Quick Pick them – for either or both sets of numbers. 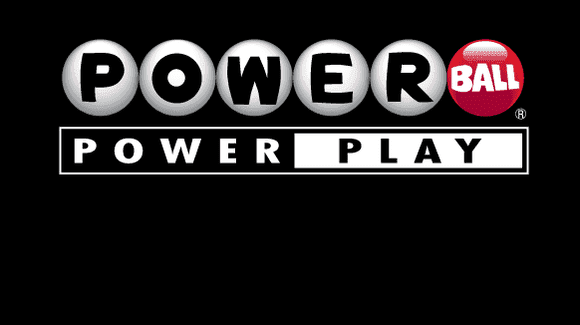 Powerball drawings are held every Wednesday and Saturday evening at 9:59 p.m. in Tallahassee, Florida. 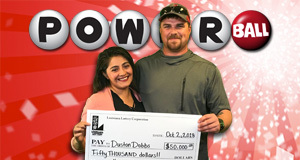 Make sure you buy your tickets for each Powerball drawing by 9 p.m. on the day of the drawing. Tickets purchased after 9 p.m. on drawing nights will be valid for the next drawing(s). Powerball winning numbers are displayed on Official Draw Show stations every Wednesday and Saturday night and updated on this website. Add Power Play to your ticket for an extra $1 per play per drawing to increase any nonjackpot prize! During the drawing, a Power Play multiplier is randomly selected from a weighted field of two 5s, three 4s, thirteen 3s and twenty-four 2s. A X10 multiplier is also added to the field whenever the advertised annuity Powerball jackpot is $150 million or less. Powerball prizes for the bottom seven prize levels are multiplied by this number, and the $1 million match-5 prize is doubled to $2 million for those winners who purchased Power Play. 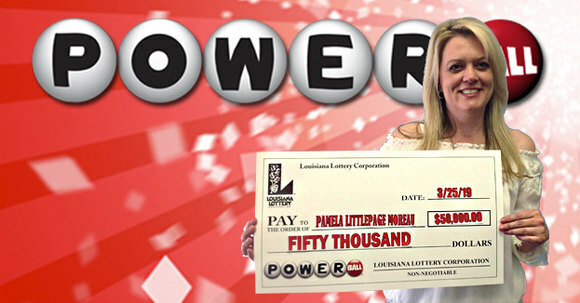 See the "How to Win" tab for all Powerball and Power Play prizes. Save time with multidraw by playing your numbers for multiple drawings. You can play 2, 3, 4, 5, 10 or 20 consecutive drawings. When you claim a prize, you’ll receive an Exchange ticket for the balance of the drawings remaining. The Powerball jackpot prize starts at $40 million and rolls, based on sales from all participating lotteries or by a minimum of $10 million each drawing until it is won. 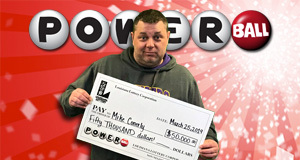 The advertised Powerball jackpot represents an estimate of the annuity amount, which is paid in 30 graduated installments, with the first paid at the time the prize is claimed. There is also a cash prize payment option equal to the jackpot prize pool. Jackpot prizes are pari-mutuel and are divided equally among all jackpot-winning tickets. Jackpot prizes are available for payment after the 15th calendar day following the drawing, and winners have 60 days from the date of claim to decide on a payment option. Playslip. In blue or black ink, fill out a playslip with your numbers and game options. You may play up to five sets of numbers on each playslip. This option is best when you want to choose your own numbers. Be sure to check your playslip carefully. 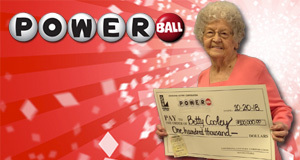 Powerball tickets cannot be cancelled. Ask the Retailer. If you want a Quick Pick, tell the clerk. You can play up to 10 Quick Picks on one ticket. Be sure to note whether you want to add Power Play or multidraw when placing your order. Power Play does not apply to the jackpot prize. A Power Play match-5 prize is set at $2 million regardless of the multiplier drawn. All prizes including Power Play prizes may become pari-mutuel if claims exceed available prize funds. The advertised Jackpot Prize represents an estimate of the annuity amount which would be paid in 30 graduated installments. The jackpot prize is pari-mutuel, meaning it will be divided equally among multiple winners. In accordance with game rules certain Power Play prizes may become pari-mutuel if claims exceed available prize funds. Power Play does not apply to the Jackpot Prize. Can I buy tickets online? No. 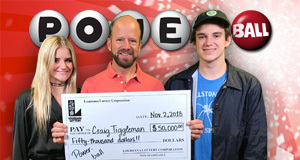 State law prevents the sale of Louisiana Lottery products through the Internet. 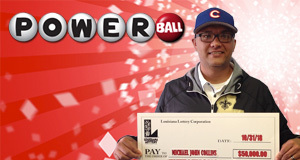 Only licensed retailers are legally authorized to sell Louisiana Lottery tickets. Can I claim a prize on a multidraw ticket before all the drawings have occurred? Yes! The multidraw features on the Lottery's draw-style games allows players to purchase plays for multiple drawings, up to 14 for Pick 3 and Pick 4 and up to 20 for Powerball, Mega Millions, Lotto and Easy 5. If you win a prize during one of the drawings, you do not have to wait until the last drawing has occurred before collecting those winnings. When you cash a winning multidraw ticket with drawings still remaining, the Lottery's terminal system will print out an exchange ticket good for the balance of the remaining drawings and with the same numbers as on your original ticket. The retailer will retain the original ticket as it is no longer valid and give your exchange ticket with your winnings. Participating Lottery Retailer, any Lottery Office/Headquarters or By Mail. Powerball, Mega Millions and Lotto Jackpots and Prizes Over $510,000 Lottery Headquarters ONLY. Call 225-297-2000 for information first. If out of state, call 225-297-2003. For more information, visit the Claim a Prize page. How long do you have to claim a prize? Winning scratch-off tickets can be claimed up to 90 days following the closure of the game. A list of closed games and end-of-redemption dates can be found on this website. Winning draw-style game tickets can be claimed up to 180 days following the drawing in which the prize was won. How long does a Powerball or Mega Millions jackpot winner have to decide whether to take the annuity or the cash option for the jackpot? Winners have 60 days after the ticket is validated by the lottery to elect either the annuity or cash payment option. 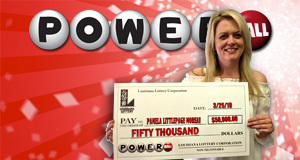 How many times has a winning Powerball jackpot ticket been sold in Louisiana? If I play the Lottery with a group of people, how do we go about claiming a prize as a group? 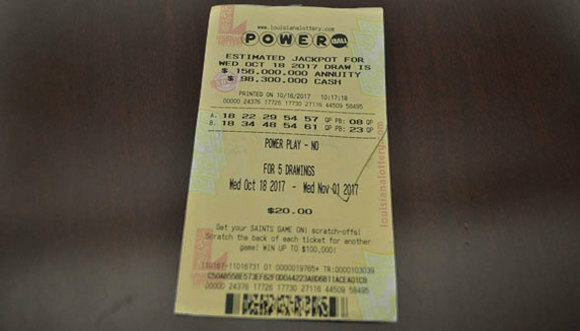 The prize on a winning lottery ticket may be split among a group of ticket owners; however only one prize check is issued. The prize check is issued to either one person or legal entity (partnership, trust, etc.). Each member of the group provides a completed IRS Form W-9 for tax reporting purposes at the time of the claim. 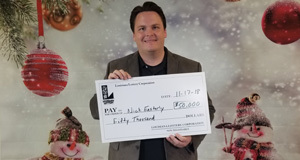 The person receiving the check for the group also provides picture identification and is responsible for distributing the winnings to the group members. For a prize paid in a single payment, the check recipient may choose to complete a Federal Form 5754 that ensures the tax obligation of the prize is distributed among the group members according to the gross prize amount of each person’s share. The Federal Form 5754 allows the Lottery to send a separate W-2G tax form to each individual winner noting the amount won and withheld on their behalf. The Powerball or Mega Millions jackpot prize may be paid in the annuity payment format or the single payment cash option. The group members must decide on one payment option; it is not possible for some group members to take the cash option and others to choose the annuity. While it is not necessary for a group of people to form a legal entity to claim the cash option, the Lottery asks a group of winners to form a legal entity with an assigned tax identification number for a jackpot prize paid in annual installments. This simplifies the tax reporting and prize distribution for a group of people receiving payments over an extended time. When claiming a prize as a legal entity, the legal document organizing the entity must list the name of each member of the group, their city of residence, and the portion of the prize each person will receive. The Lottery encourages all players to seek financial advice before claiming a large jackpot prize. As with all claims, the names of those receiving prize funds and their city of residence is public record. If I think I've won the jackpot, what should I do? Players should sign the back of their ticket for security purposes, secure their ticket and treat it as cash. We also recommend that players who believe they hold a Powerball, Mega Millions or Lotto jackpot-winning ticket contact the Lottery's headquarters immediately at 225-297-2000 to schedule a time to claim their prize and have their questions answered. This will facilitate a smooth prize payment process. 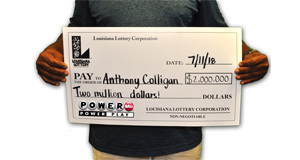 Players who believe they hold a jackpot-winning ticket must bring the original ticket to the Lottery's corporate headquarters in Baton Rouge within 180 days of the drawing in which the prize was won for verification and any prize payment. The Lottery recommends that before coming to claim a jackpot prize, winners get financial advice so they fully understand the tax or other legal implications involved. If I win, can I remain anonymous? If you win more than $600 and are therefore required to claim your prize at a Lottery office, you will be required to complete a claim form for tax purposes. Under the Lottery's statute, all prize payment records are open records, meaning that the public has a right to request the information. Depending upon the amount won and public or media interest in the win, winners may NOT be able to remain anonymous. The statute also allows the Lottery to use winners' names and city of residence for publicity purposes such as news releases. The Lottery's regular practice is not to use winner information in paid advertising or product promotion without the winner's willingness to participate. What happens to prize money when someone dies? When a prize is claimed it becomes the property of that individual, even if the prize is paid out as an annuity. Hence, all winnings become a part of the estate of the deceased. Power Play prizes are not shown. Tickets must be validated at a retailer or Lottery office for prize payment. Every effort has been made to ensure that the prize payouts, odds, winning numbers and other game information provided on this page is correct. 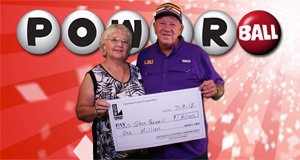 However, in the event of an error, the official files of the Louisiana Lottery shall be controlling.